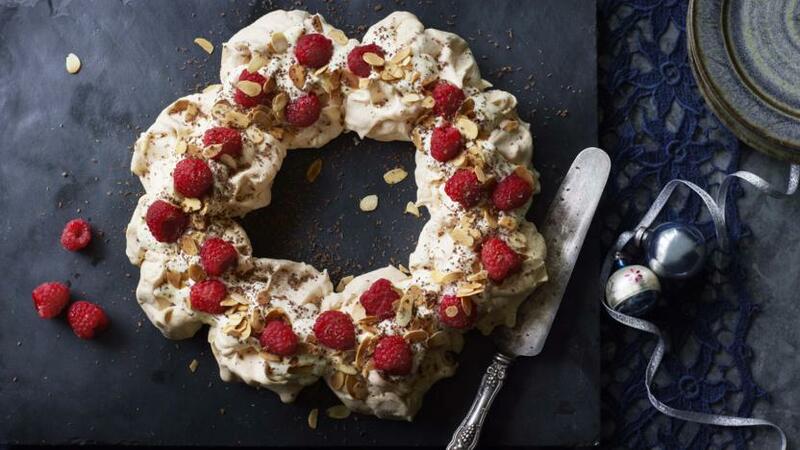 The tastiest Christmas wreath you are ever likely to meet. Plus it has less sugar than most meringues meaning you can have your wreath and eat it too. Preheat the oven to 120C/100C Fan/Gas ½. Line a baking tray with parchment paper. 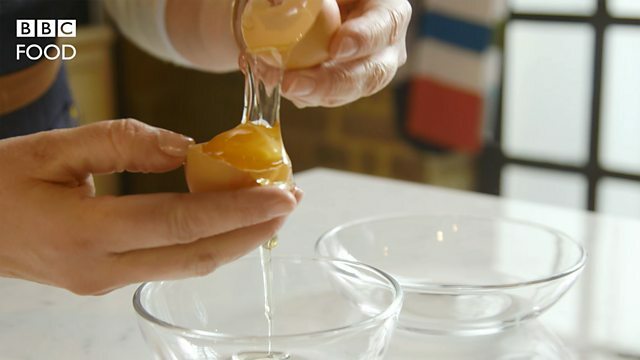 Whisk the egg whites in a clean glass bowl until soft peaks form. 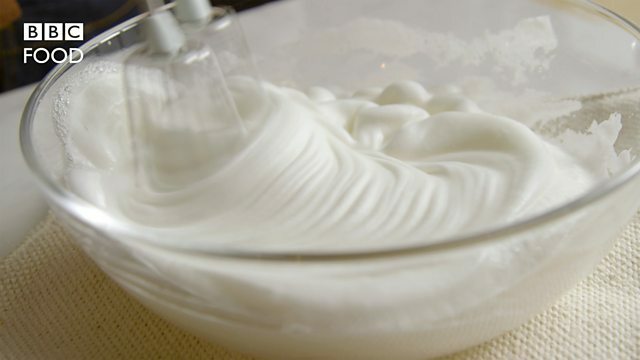 Add the sugar a teaspoon at a time and continue to whisk until you have stiff peaks and the meringue looks glossy. Arrange 8 large spoonfuls of the mixture in a circle on the prepared tray in a ring to form a wreath. Bake for 30 minutes, then reduce the oven to 110C/90C Fan/Gas ¼ and bake for another 1½ hours. Turn off the oven, leave the door ajar and leave until the meringues are cold. Just before serving, make the topping. Mix together the yoghurt, orange zest and juice, almond extract and cinnamon. Top the meringue with the yoghurt mixture and then scatter over the raspberries and almonds. Finely grate over the chocolate and serve. Transform leftover egg yolks into tasty custard.